In my first article, I recommended lowsec as great place to being your PVP adventure. Much like nullsec, Concord will not interfere if you choose to engage other players. Lowsec, however, does have its own set of rules which include guns on gates and stations that will shoot aggressors. These are things which you have to consider carefully if you want to fight someone in lowsec. 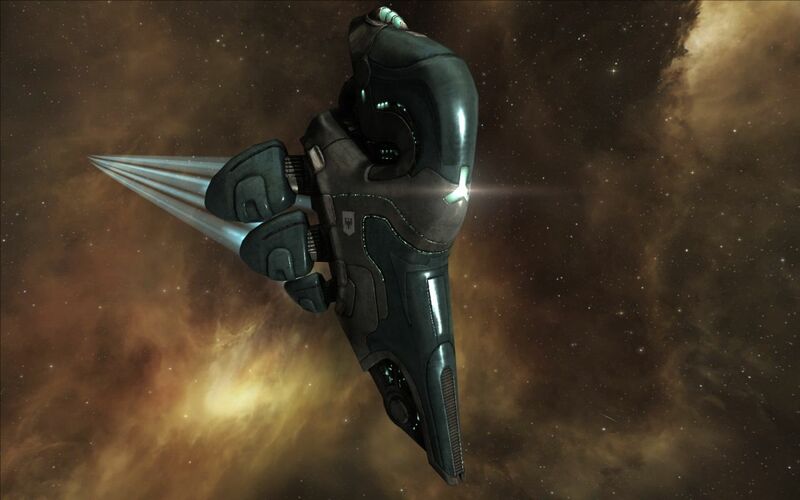 Lowsec is home to Faction Warfare (FW) where you can find a large number of “plexes” — gated anomalies that only certain ships can enter and FW militia members can earn LP in. The novice plex allows T1 frigates, navy frigates, and pirate frigates to enter (the smallest of the small stuff). No probe scanning is necessary, and if you warp to one, you will find an acceleration gate. Activate the gate and you’ll warp to a pocket of space, known as a “faction warfare plex”. Everyone who enters this pocket of space appears in the exact same spot, at “the button”. You can move around freely and warp to other destinations around the system you are in. People cannot warp directly to you; they must first warp to the gate, then activate the gate and arrive on the button. You cannot active a gate if you are pointed. Because everyone arrives in the same spot upon entering the plex, this piece of the landscape somewhat shapes the strategy and tactics that get used in fights. It’s also worth noting the differences between the two major prop mods at this point. The Afterburner (AB) increases the speed of your ship (by something between 2x and 3x). The Micro Warp Drive (MWD) increases your speed by a large amount (5x to 6.5x), reduces your cap, and causes your signature to become much larger when it is running (5x or so). The MWD also turns off when you are warp scrambled (but not disrupted). The tech 2 warp scrambler has a range of 9 km cold, and a tech 2 warp disruptor has a range of 24 km cold. This interplay between the two different types of points and the two different types of prop mods forms some of the structure for the tactics of fighting in FW space. –Brawling: Engage at short range (0-4 km), generally with good tank and high damage, using something like Blasters, Autocannons, or Pulse Lasers. –Scram Kiting: Engage at the edge of warp scrambler range (8 km or so), generally using long range weapons (Artillery, Beam Lasers, Railguns) with short range ammo, or rockets. –Long Point Kiting: Fight at 16-24 km with a disruptor (long point) and an MWD. In general, as you get more range you tend to give up tank and DPS, and so if your kiter gets caught at 0 by a brawler, they are probably going to get torn apart. Range control is not the only thing that matters in a fight, but it is one of the more important aspects. If you are fighting a fit from a different class, and you are able to dictate range, it is a big help in scoring a win. A beam Tormentor that is fighting a blaster Merlin at 8 km is very likely to do well. Likewise, a blaster Incursus that catches a light missile Condor when it enters a plex would almost have to get disconnected from the server to lose the subsequent engagement. Having better speed helps to dictate range, but using some of your fitting “budget” on speed leaves less left over for DPS and tank. If engaged at zero, a blaster Atron is going to have a hard time against a blaster Merlin. On the other hand, If they both fight against a beam Tormentor, the blaster Atron is more likely than the Merlin to be able to close and establish a tight orbit where the beam Tormentor cannot track. In general, fighting something in your own class (brawl vs. brawl, scram kite vs. scram kite) tends to be more of a straight DPS race. It’s relatively rare, however, that there is nothing you can do to influence the outcome. In general, you want to think about what differences you have compared to the opponent, and then think about what you can do to maximize that advantage. 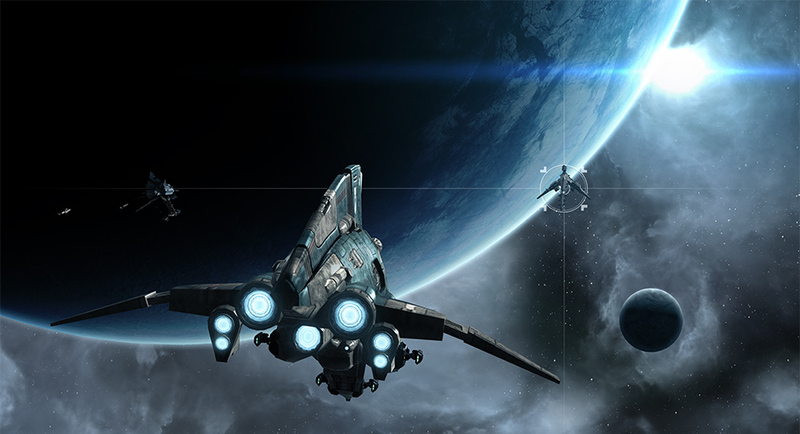 If we have a tracking bonus and our opponent does not, orbiting favors us. If we have a falloff bonus and our opponent does not, we may get some advantage out of fighting further out that we normally do. To go back to the earlier example of the blaster Merlin vs. blaster Atron, both of them normally want to brawl at 0. Blasters have good DPS and good tracking, and right on top of your target is a great place to engage. The Merlin has a DPS bonus and a shield resist bonus. The Atron has a DPS bonus and a falloff bonus. A straight brawl at zero favors the Merlin, but if the Atron uses its speed to get out to 8km or so, the falloff bonus will let it apply a lot more of its DPS than the Merlin. As a side note, even if you don’t have a falloff bonus, in a mirror matchup like this, double check if your opponent bothered to bring T2 Null ammo with them; for some totally inexplicable reason, lots of folks don’t. When you are thinking about engaging in a fight, consider the following. What fit do I think my opponent is likely to be flying? If my guess is correct, what range does my opponent want to engage at? What range do I want to engage at? Who is likely to be faster? If your opponent has better range control than you, you will generally need to start the fight at your optimal range and then try to finish them off as they work to achieve their range of choice. The better range control you have, the more inclined you can be to let your opponent have their starting range and then work to change the range picture to a favorable one before you die. Let’s imagine we are flying something with an AB/Scram/Web. We enter a system, d-scan, find someone in a plex, warp to the plex, d-scan again at 1.0 au (360 deg), it’s just our opponent. What is our plan? What range do we want? Is this a fight we can take? Let’s assume yes. Load the right ammo, heat guns, heat AB, heat active tank. Set orbit or keep at range to whatever our “plan” range is. Activate the gate, d-scan again. Anyone coming? Do we need to get ready to bail? Let’s say no. We land in the plex and there’s our opponent. We spam the approach/orbit/keep-at-range command (we don’t need a target to do this). We then turn our AB on and target the opponent. Put drones out and d-scan again if you can. Pre-activate guns, web, point. Target lock finishes. At this moment we are maybe 3 seconds into the fight, and we are on our way to our desired range. We have heated guns, and our drones on our opponents, along with the web and scram, and the heated AB is driving us towards where we want to be. Now is time to take stock. Was our guess about our opponents fit correct? Do we need to reevaluate the plan? The faster we can tell that our initial mental map is incorrect, the faster we can work to redirect the plan. The sorts of things that would cause us to reevaluate our plan could be: if the Tormentor that we warped in on has pulse lasers when we expected beam lasers, or the Kestrel is double web, armor tanked rather than single web and a MSE, or if the Incursus is double rep (you can tell because they need space for a cap booster, so they drop the web). All of these examples would change the fight in some way and besides needing to reevaluate how we are engaged we have to figure out if we even still want this fight. Let’s imagine that none of this has happened, and we don’t need a new plan. If we are achieving our desired range, we can downcycle the heat on the AB. If we don’t need to develop a new plan based on new information, we will bounce between managing heat, managing active tank, and d-scanning to see if any friends are on the way. If we are planning on a long fight, and the opponent is short on drone bay space, it might be worth our time to kill drones. If I am flying rocket Breacher vs. a blaster Incursus for example, and I achieve scram kite range, I will often kill the Incursus’ lone drone. If our opponent has spare drones or a lighter tank I often will not bother going after them. If we have an active tank, that generally means MASB or SAAR, and we need to try to carefully pulse them and not over rep. We also need to not under rep and die with charges left available. If damage is being put into our drones, we may choose to pull them in and relaunch them and I often try to do that as soon as they start taking damage. Keep in mind that if they are shooting the drones, they are not shooting you, so manage your active tank accordingly. D-scan again. If at some moment our opponent heats their AB to change the range control equation, we need to do the same thing. If things have been going well, our opponent is getting low. If we are brawling, then just keep brawling. If we are scram kiting, we need to be careful about letting our opponent slip away. If they align out and heat their AB, even if their ship is slower, the heated AB can let them slip the point and escape. We may choose to heat our AB or approach (or both) in order to minimize the chance of our opponent escaping. At any moment, if things are not going well, align out, heat your AB, and try to shed scram so that you can leave the field and fight another day. If you are following my advice from the first article, you are flying to learn rather than flying to win. It’s time to reconstruct what just happened. One of the best tools is to record your fights, using OBS or similar software. If you don’t do that you can still work from memory to reconstruct. If you have a killmail, you can verify what fit you were flying against. If you lost, you can almost always look up a players killboard, and get a pretty good guess of what fit you lost to. How much was it like your guess of their fit ahead of time? Put the fit in PYFA or EFT and spend some time understanding it. What is it’s EHP? DPS? Optimal Range? Does it have better or worse tracking than your fit. Once you have a feel for the fit, think back over the fight. What range did the fight happen at? Were you minimizing their damage? Were you maximizing your damage? Did you work in regular d-scanning? Manage drones properly? Manage heat properly? Active tank? Most fights have a lesson to teach, the post fight review helps you extract the maximum amount of learning out of each fight. Even when I win I find there are usually a couple of things I could have done better. Losses often have even more lessons and one of the most common reasons I lose to is that I had the wrong plan in mind when I went in. They had a different fit then I expected and I came up with an executed a sub-optimal plan. The more experiences you have like this, and the faster you can recognize when you are executing the wrong plan, the more effective you can be at changing in the moment when things are not going to plan. Good luck and fly dangerous.